Time spent in the bathtub is more than just time spent getting clean. For me, taking a bath is usually therapeutic. Sometimes I am trying to clear a stuffy head, sooth sore muscles or just relax with a glass of wine as I attempt to ignore the chaos that is my life. I love natural bath products…in fact I am beginning to think it is an addiction of sorts. Is there a Bath Products Anonymous group I should be joining? “Hello, my name is Diane and I spend way too much money on stuff to put in my bathtub water.” I have to be very careful of the bath products I buy since I have fairly sensitive skin. Making my own homemade natural bath products has become a way for me to indulge in my addiction without going broke! 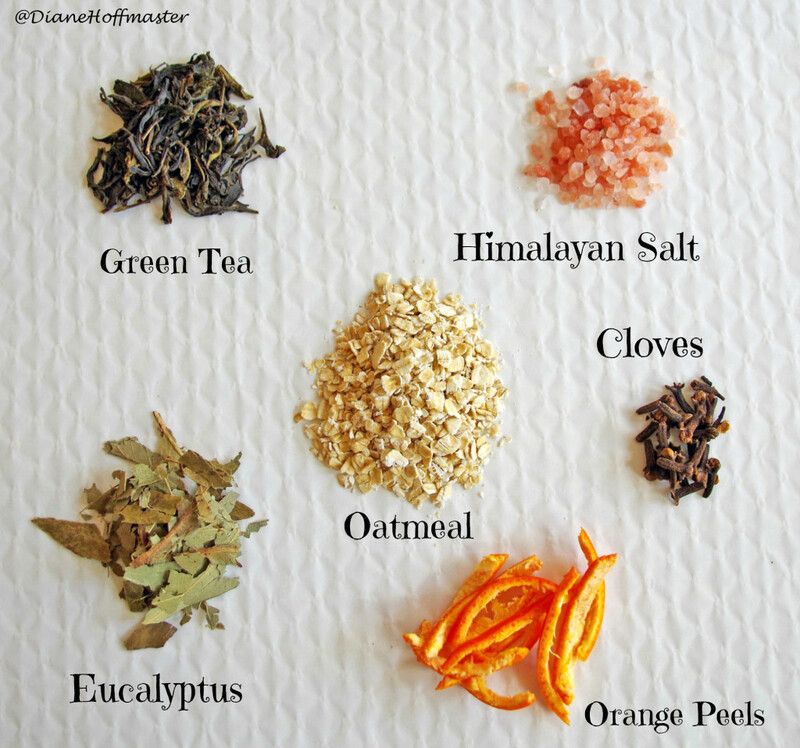 Place mixture into reusable tea bag or other method of steeping in your bath water as mentioned above. This will make enough for 2 to 3 teabags full of herbs. Since the orange peel is fresh I would not keep this mixture much longer than a few days. 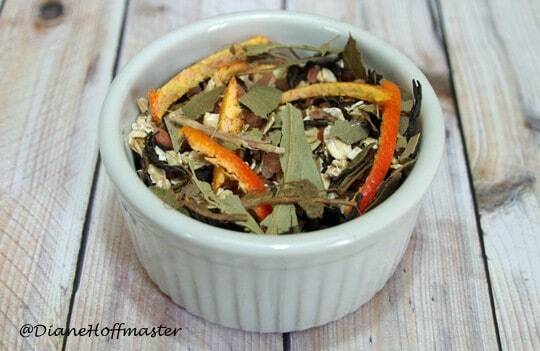 If you use all herbs and dried ingredients it should keep several weeks. To use: Fill bath with warm water and put one teabag in to steep. You can let the herbs steep for 5 to 10 minutes before you get in and squeeze the bag gently under running water to really get the contents wet and the bath water full of goodness! 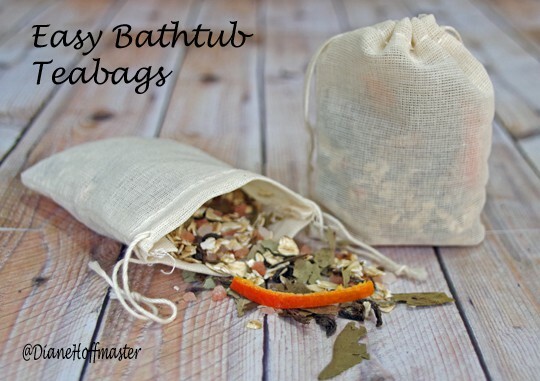 What sort of natural bath products to you use? I love this idea! And talk about a nice gift giving idea to add to a gift basket!